SIBERIA-RUSSIA, JUNE 2002 - Four days non-stop on a train, from the far east in Siberia , near the Mongolian border, to the the high north of St-Petersburg. It is truly the experience of a lifetime. A fellow traveller on the train told me "you cannot photograph or film it, you cannot write about it, ... and at home, the stories you tell about it , people just don't believe you... you have to experience it yourself !". And I can only agree with that. The following are some snapshots and some notes... to give you a glimpse of the real thing. 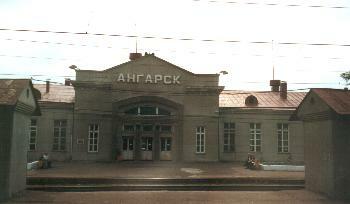 Angarsk, one of the many stations. I had the intent to photograph them all, but there were just too many... and I have read back home that you are not supposed to photograph stations or bridges... One of the biggest stations in Siberia, Krasnoyarsk. 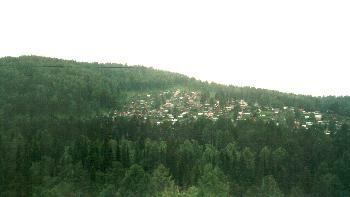 This is a city of almost 1 million inhabitants. The train stops 20 minutes and you can stroll to the other platforms via a foot bridge. 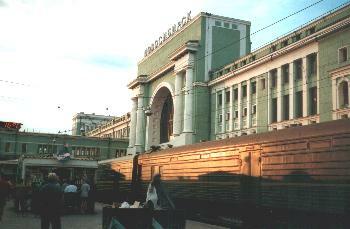 The capital of Siberia, Novosibirsk, is where you can find this monumental station. 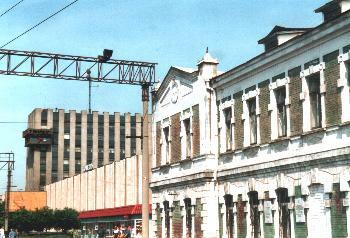 Also know for Akademgorodok, the scientists' city. Tsjumen, this used to be one of the big gateway places for convicts in Tsarist times. 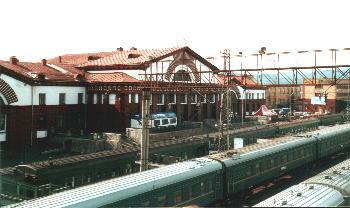 During WW II , Lenin's corps was moved to this place. Now it is big for its oil pipelines. 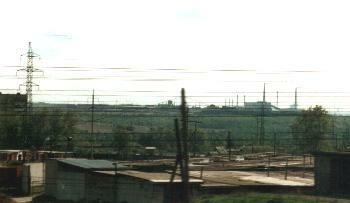 Industry, many factories have been relocated to these places during WW II. Many of them were not on any map until recently. Now many are being dismantled. 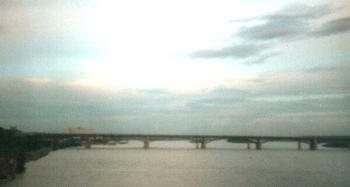 The huge Ob river bridge. Other important rivers and their bridges are the Yenisei and the Volga. 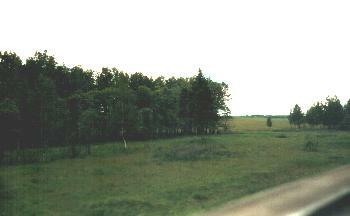 Landscapes vary from dense pine forest... ... to more open landscapes with birch trees and meadows with wild flowers.